I love to take pictures, I love to write and I love to create works-of-art. So, it was a no-brainer when I took up scrapbooking as my hobby of choice. Not everyone falls into it so easily. But it doesn't have to be an overwhelming feat either. First, you need to decide why you're scrapbooking. Is it to record stories? To have a place to put your photographs? To be crafty? All of the above? Any reason is fine, but whatever your reason is, it will be the strongest factor in how you create albums and layouts and it will define your approach to scrapbooking. For instance, if want to remember specific dates, stories, and reflections, your albums and layouts will be very journaling-focused. If you're looking for a method of displaying and viewing photographs, you may lean more towards photo-album-style books. And then there are those who like the crafty element of creating a work of art, who will spend more time thinking about which products to use on a page, than the photos and words that go with it. Set reasonable goals and expectations. 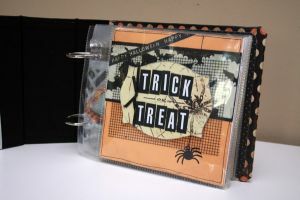 Break your scrapbooking projects (which can feel overwhelming and impossible to "finish") into smaller tasks. Choose photos for an album one day and write your journaling another. On a different day, pick a group of coordinating products to match your theme. In just a few days, you'll have created your own album kit ready to go whenever you are ready to scrapbook those memories. 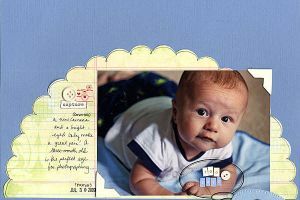 Instead of scrapbooking *everything*, you can tackle years of back-logged photos with subject-themed albums such as sports, birthdays, school, holidays, etc. Or, divide a year into months, making monthly collages and dedicating only 2-4 pages to each month. Buy product kits. Kits are fabulous. Everything coordinates, you have all the elements you need on hand (paper, stickers, die cuts, embellishments, ribbon, etc.) and you can store it all together with your project, which makes it easy to get started anytime you have an opportunity to work on it. Keep organized. I can't stress this enough. Keep your photos filed and dated, your supplies organized and easy-to-access, and you'll always be able to jump right into a project. There's nothing worse than feeling the urge to scrapbook and having to spend all your time getting organized instead. Write what you won't remember. My memory is terrible, so I write everything down - names, dates, locations, and most importantly, the story. What happened? Who was there? What did they say? How did you feel? Keep a journal, a calendar, or a blog to help you write it all down immediately so it isn't forgotten by the time you scrapbook it. Photograph your world. Sometimes the perfect smiling-at-the-camera portraits aren't what become the most treasured photographs. Don't forget to take pictures of everyday activities, the house you live in, the places you go, and the people you love. No matter how blurry, how dimly lit, or how messy the background, you'll treasure the memories of those simple everyday things. Week in the Life Album - This is one of my favorite albums, full of photos of mundane, boring, everyday tasks. But two years later, it's a great record of our everyday life. I might do this one again in a few more years. Most of all, stay true to your reasons for scrapbooking and make it fun--for you. Don't worry about how other people do it - just do what you like and what works for you! Thanks for letting us feature you over at The Mom-tage today! You are very talented, and your scrapbooks are incredible. Thanks for sharing such useful tips!